We are now accepting beef orders. Please call us or contact us for availability of freezer beef! We offer a variety of different gift baskets and boxes which make the perfect gift for any occasion. There are so many yummy options. The baskets can also be customized upon request! Please feel free to check them out and let us know if you need any assistance or recommendations. Maple goes with more than just pancakes. Check out our recipe page! Do you or someone you know have a corn allergy? No problem! We offer corn-free packaging upon request. Simply choose 'corn-free-packaging' in checkout or contact us about your order below. Did you know maple syrup has numerous health benefits? That's right! Compared to other syrups and many other foods, maple syrup is healthier with many health benefits. Want to make sure your maple syrup and products last? We have a bunch of tips on storing your syrup and maple products. Ensure your maple stays fresh! 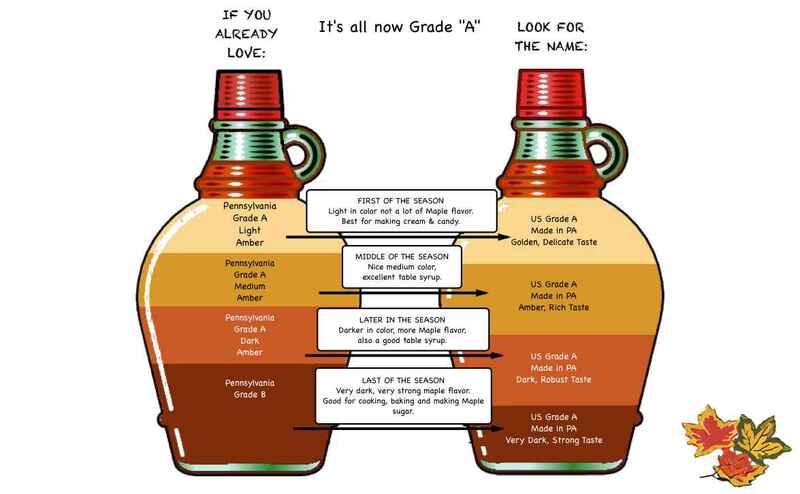 Prior to 2015, each state had a maple syrup grading system of its own. In 2015, the USDA went through the process and developed a uniform grading system. This is now the standard to go by. Please use this chart for conversion from the old PA system to the new US system. 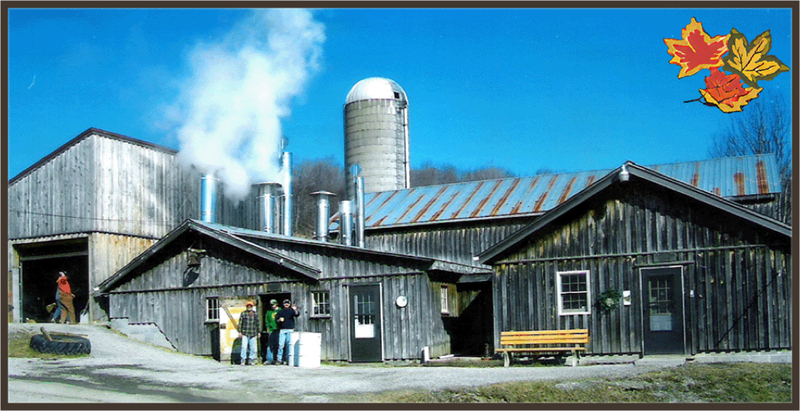 If you are planning a vacation to the North Central Pennsylvania area, we would be happy to schedule a tour for you. Plus, we have product price discounts in person! We take pride in producing the finest quality maple syrup, cream, candy, sugar, gift baskets, and much more, all for those who enjoy the pure taste of nature's premium sweetness. Get email offers & the latest news from Patterson Farms! Please enter a valid email to connect with us. Email has been submitted successfully. Thank you! Patterson Farms ©2019. All Rights Reserved.